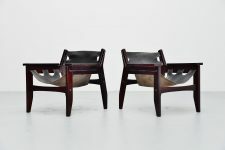 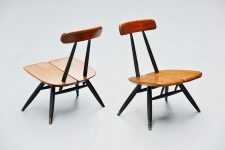 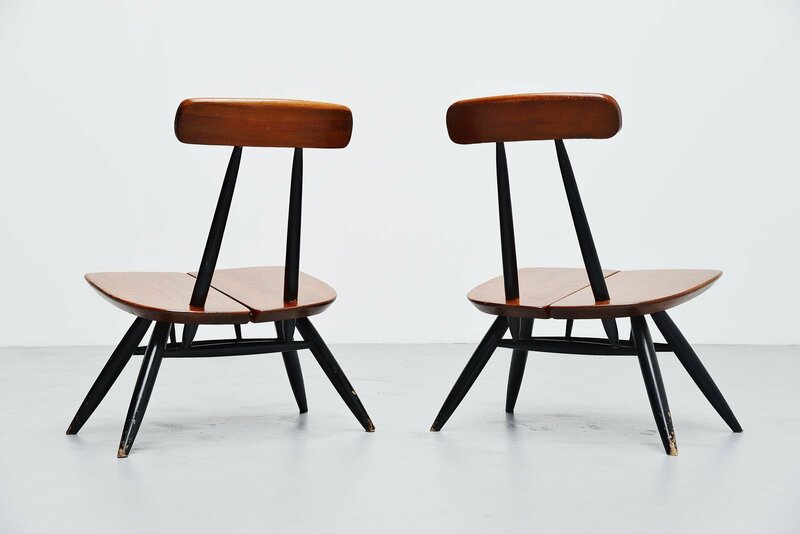 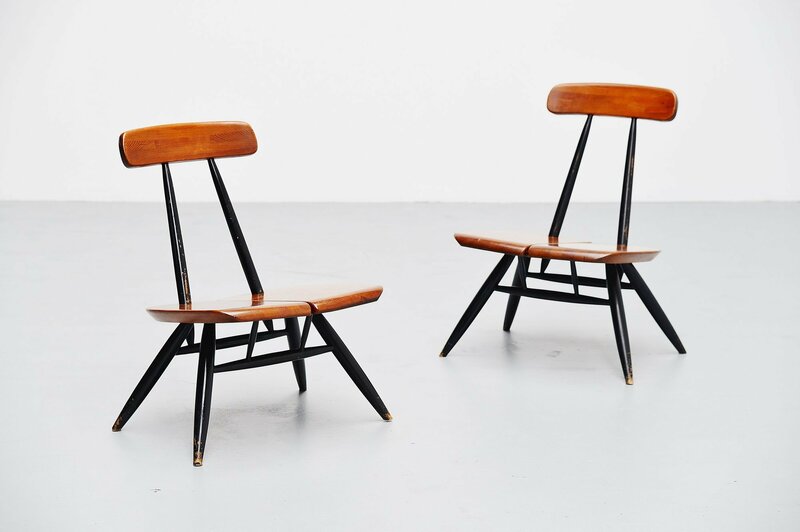 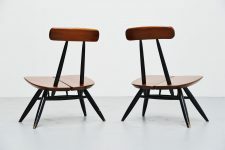 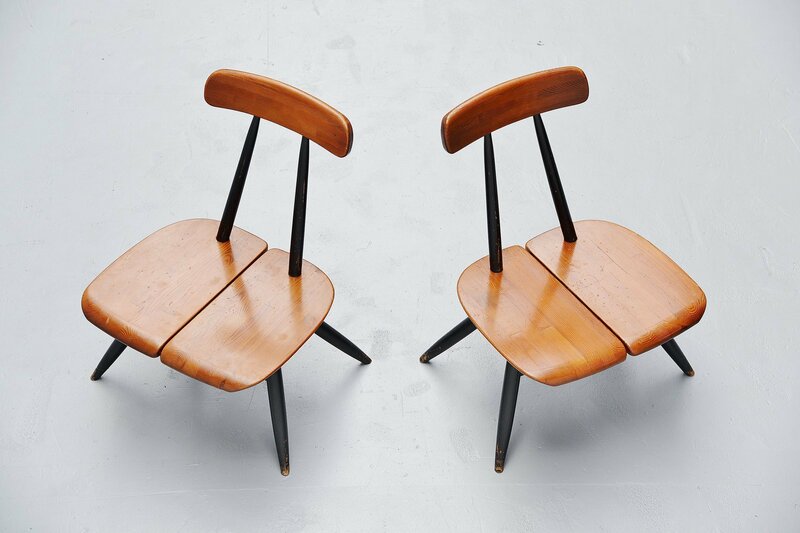 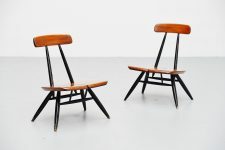 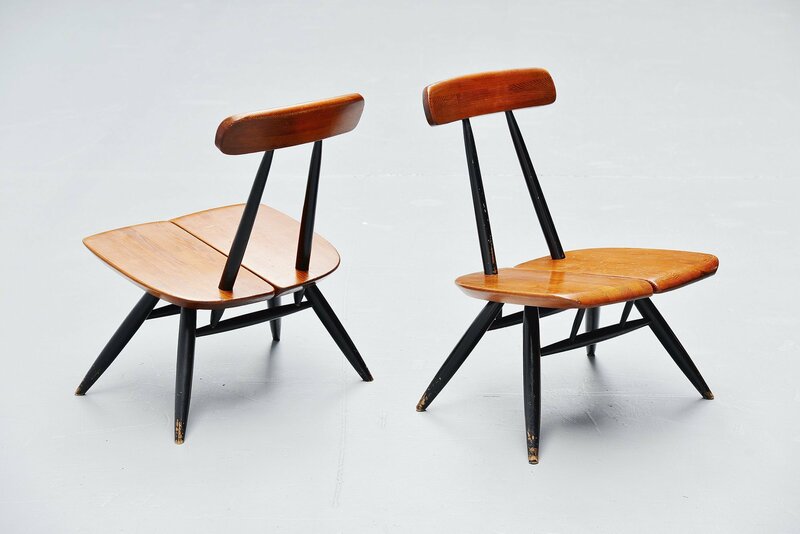 Rare Pirkka lounge chair pair designed by Ilmari Tapiovaara and manufactured by Laukaan Puu, Finland 1955. 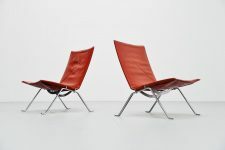 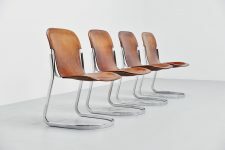 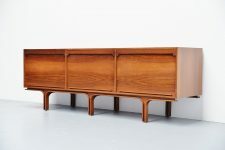 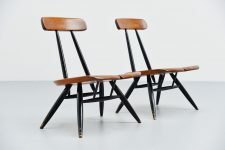 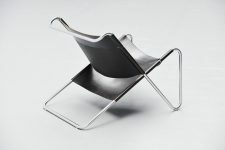 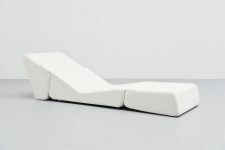 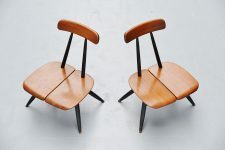 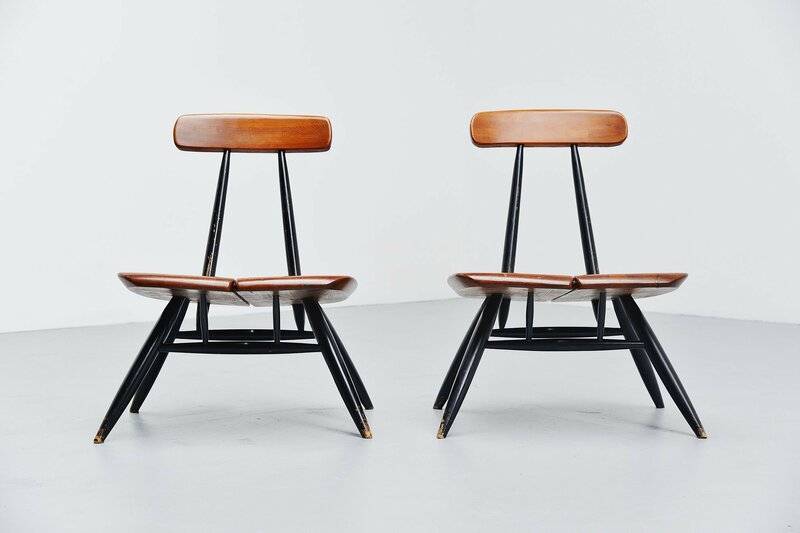 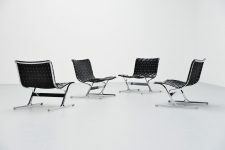 This pair of lounge chairs from the Pirkka series is quite rare and its the only model that was not put back in production. 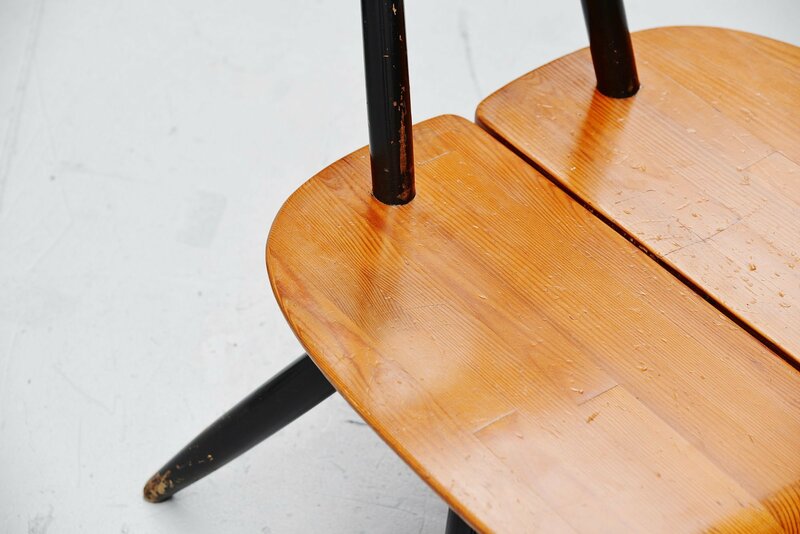 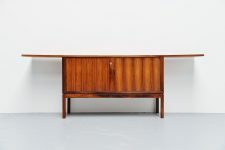 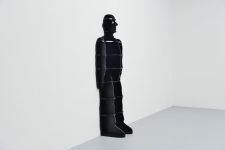 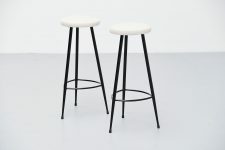 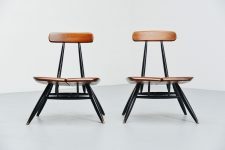 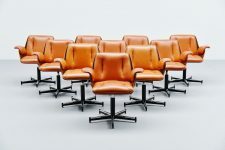 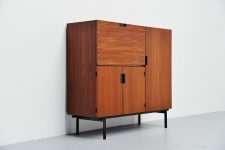 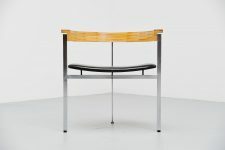 The chairs have a solid pine seat and back rest and black lacquered beech wooden sticks that compse the frame. 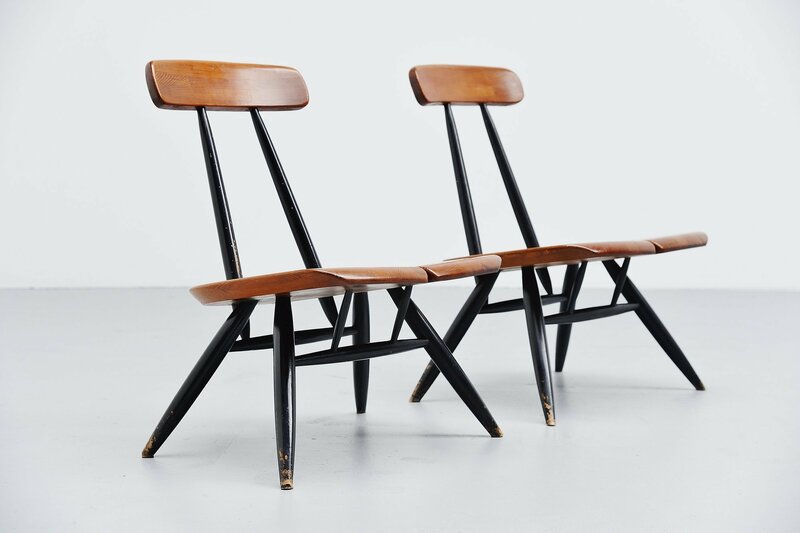 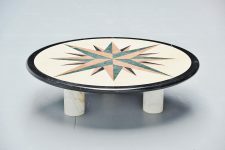 The chairs are in good original condition with minor wear due to age and usage. 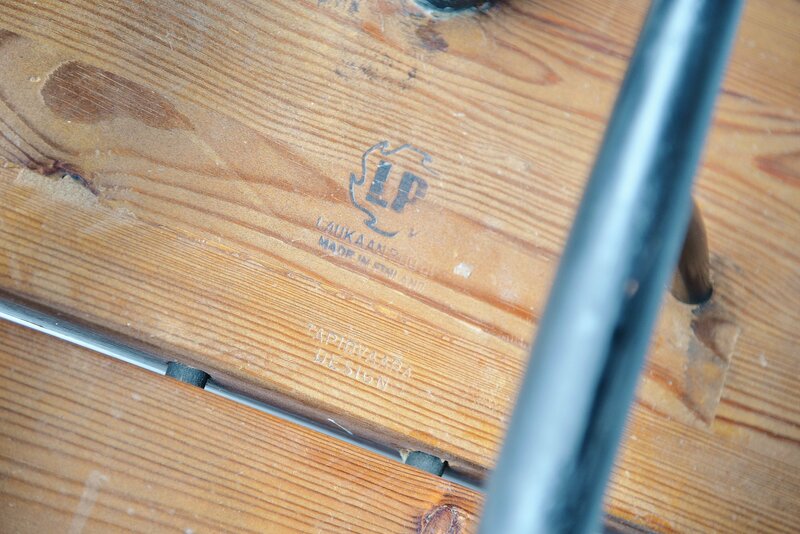 Brand marked with the Laukaan Puu stamp on the underside of the seats.